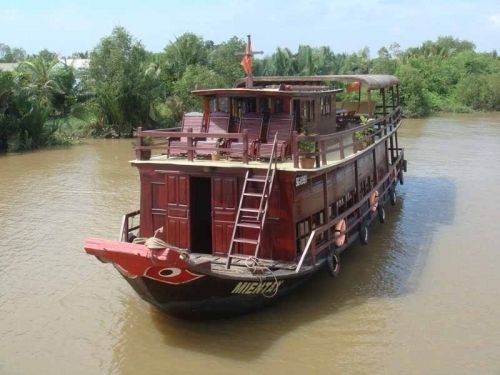 2 Days Tour from Cai Be is an interesting experience for all local and foreign tourists on Mekong Eyes Cruise. You have an opportunity to visit orchard gardens and small villages. 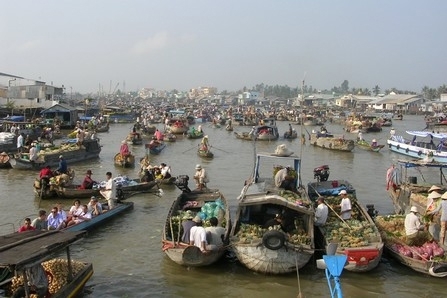 Cai Rang floating market is an unforgettable destination for your trip to explore Mekong Delta on Mekong Eyes Cruise. The 2 days tour is a perfect option for your enjoymen. Contact Viet Fun Travel to get more information for your trip. Visit orchard gardens + small villages. 08.00am: Pick-up at the hotel in Saigon. 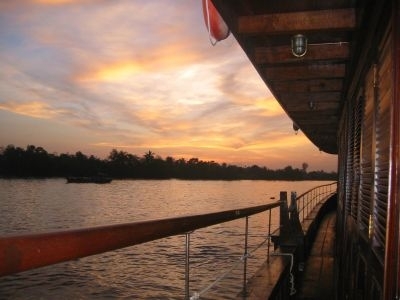 Start Mekong Eyes Cruise 2 Days. 10.00am: Option for biking on backroads or walk in a small village along the Mekong canals, or sampan rowing in small canals around Cai Be. 11.30am: Boarding of the cruise vessel and check-in. 12.00am: Panorama cruise and lunch on board. 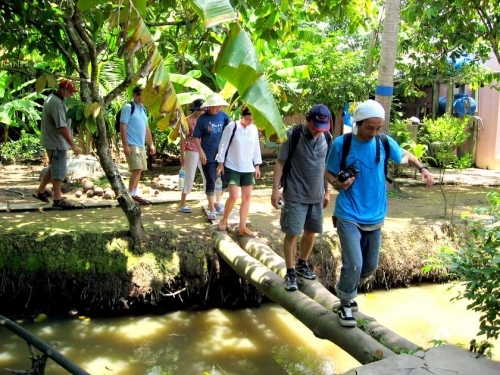 16.00pm: Guided land excursion – walk in orchards and small villages. 17.00pm: Return to the boat for refreshment and to enjoy the sunset on the top deck. 19.00pm: Dinner on board, night on board. 06.30am: Morning cruise and morning tea break served until 8:30am. 08.30am: Excursion on a long sampan to Cai Rang Floating Market. 10.00am: Return to the boat for the brunch. 16.00pm: Arrival in Saigon. Finish Mekong Eyes Cruise 2 Days Depart From Cai Be. Standard Type: Air-con tourist bus, Trip itinerary and routing as described in the itinerary. English speaking tour guide. 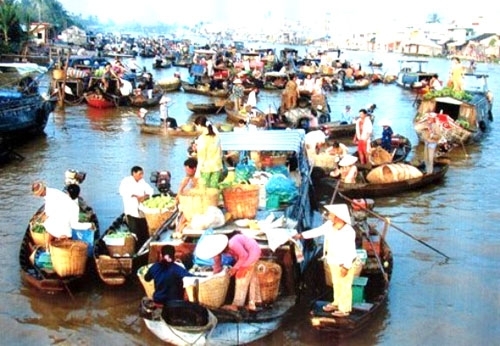 Guided walk and side trips on sampan as mentioned in the itinerary. Accommodation in cosy double or twin bedded cabins. Meals as indicated in the itinerary. Mineral water placed in your cabin on board. Tax and service charge. Deluxe Type: Private car/van, Trip itinerary and routing as described in the itinerary. English speaking tour guide. 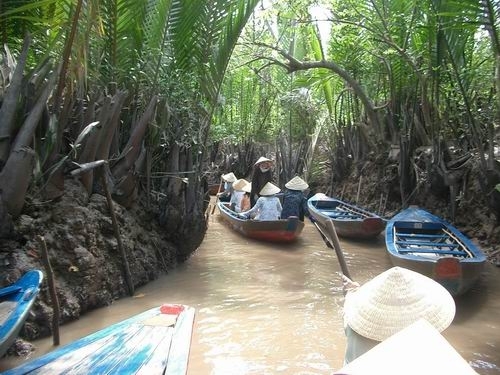 Guided walk and side trips on sampan as mentioned in the itinerary. Accommodation in cosy double or twin bedded cabins. Meals as indicated in the itinerary. Mineral water placed in your cabin on board. Tax and service charge. Beauty services and massage. Beverages. Tips and personal expenses. All other services not mentioned above.